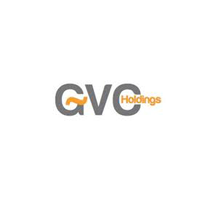 GVC Holdings PLC (LON: GVC), the multinational sports-betting and gaming group, today announced a post close trading update for the year to 31 December 2018. Following a strong final quarter, the Group expects full year 2018 proforma underlying EBITDA1/2 to be in the range of £750m-£755m, ahead of current market consensus3. Online NGR growth of 15% was very strong despite the high sports gross win margin in the comparative period last year. Sports brands NGR was up 14%; sports wagers growth of 18% was largely offset by a sports gross win margin of 10.7% which was 1.5pp behind last year, while gaming NGR was 35% ahead. Growth remained impressive across all major territories with legacy GVC sports brands NGR 21% ahead and legacy Ladbrokes Coral sports brands NGR 9% ahead, including 12% NGR growth in the UK sports brands. Games brands NGR was 18% ahead with partypoker +43%, Gala brands +18% and legacy GVC casino brands +13%. Total Online marketing costs as a % of NGR in the quarter was 22% (Full year: 23%). UK Retail LFL NGR was 3% behind last year. 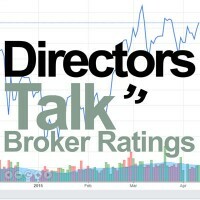 LFL OTC NGR was 10% behind driven by LFL OTC gross win margin down 0.7pp and LFL OTC wagers 7% behind. LFL machines NGR was 3% ahead. Belgium Retail NGR was 15% ahead of last year and Republic of Ireland Retail NGR 8% ahead. Overall European Retail NGR was 7% behind the prior year, due to a lower OTC gross win margin in Eurobet Retail, which was 7.4pp down on last year’s exceptionally high level. However Eurobet Retail OTC wagers grew by 15%. GVC Holdings intends to release its preliminary FY18 results on 5 March 2019.